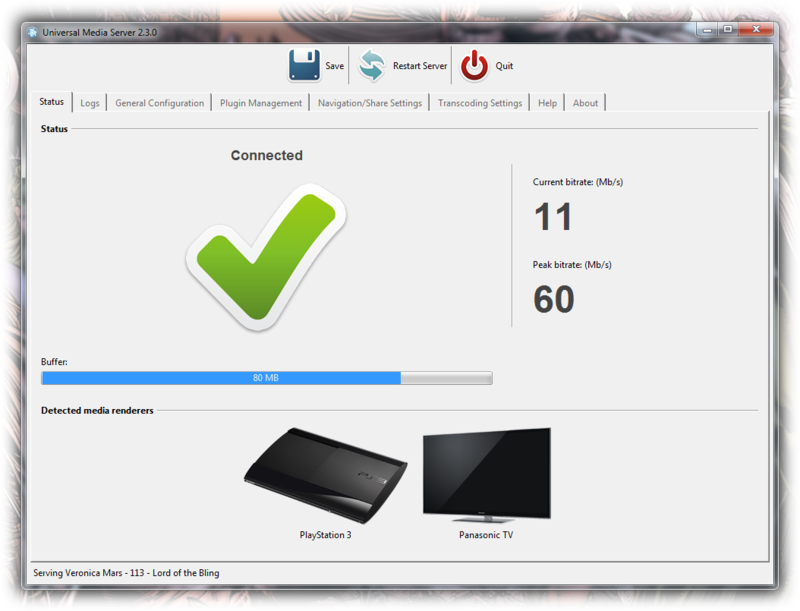 Universal Media Server is a DLNA-compliant UPnP Media Server. The program streams or transcodes video, audio and image formats with little or no configuration. 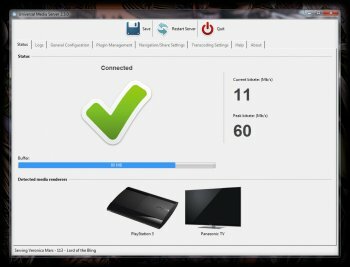 It is powered by FFmpeg, MEncoder, tsMuxeR, MediaInfo and more, which combine to offer support for a wide range of media formats.